Gian Giuseppe Simeone (Rome, 1966), an Italian and Swedish citizen, is an acknowledged expert in culture and heritage, with a widespread experience of more than 20 years in project management, academic and field research, communication and public outreach. He holds a MA in archaeology and art history, with a third cycle specialization in the preservation and promotion of cultural heritage (Université Libre de Bruxelles). Based in Brussels, he currently works as a consultant on EU-funded cooperation projects and programs in the fields of creative industries and cultural heritage. He is a founder and executive manager of Culture Lab, a Belgian consulting agency specialized since 2002 in the design and management of European and international cultural cooperation projects and in communication and public outreach strategies. In this capacity, he has carried out many consultancy missions, field studies and assessments of projects and programs in Europe, in Africa and in the Mediterranean area. 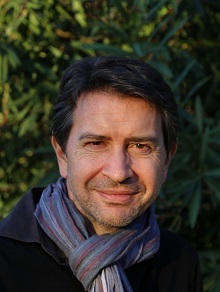 An active writer, Gian Giuseppe Simeone also has to his credit various studies and publications in the fields of cultural heritage and creative industries. Gian Giuseppe Simeone is the project coordinator of the CHEurope project, part of the Gothenburg’s University staff.